From celebrities to premiers to hockey moms in B.C., Canadians wore hockey jerseys on Thursday in a show of solidarity with the town of Humboldt, Sask. 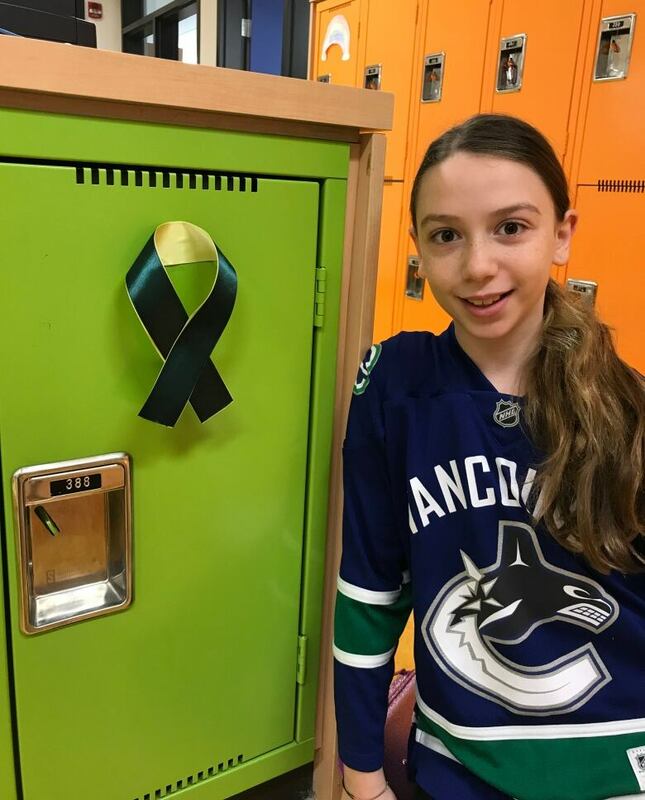 From celebrities to premiers to hockey moms in B.C., Canadians wore hockey jerseys on Thursday in a show of solidarity with the victims and survivors of a Saskatchewan bus crash that killed 16 people. 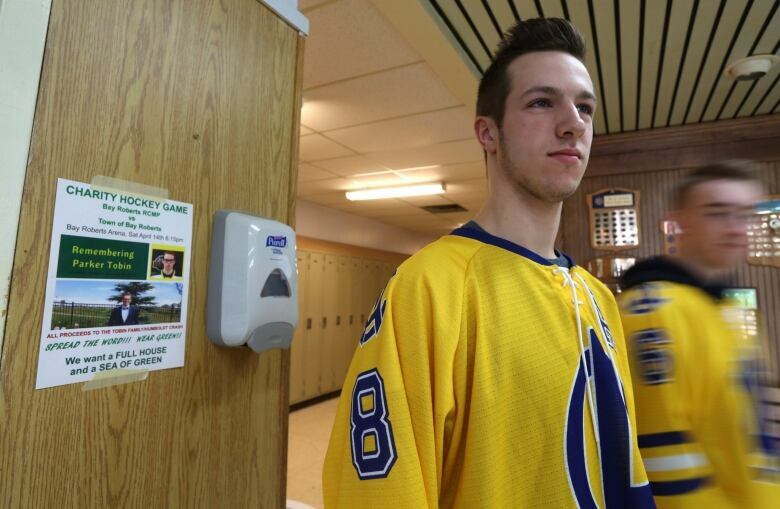 Jersey Day, as it has been dubbed, was organized by a group of B.C. 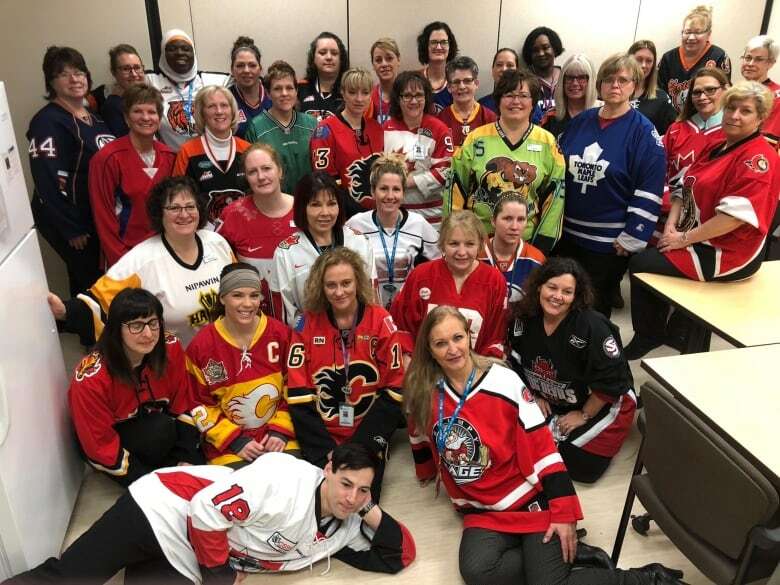 women in support of Humboldt, the community at the centre of the tragedy. One of those women, Jennifer Pinch, said she wants the town of 6,000 to know it is not alone. 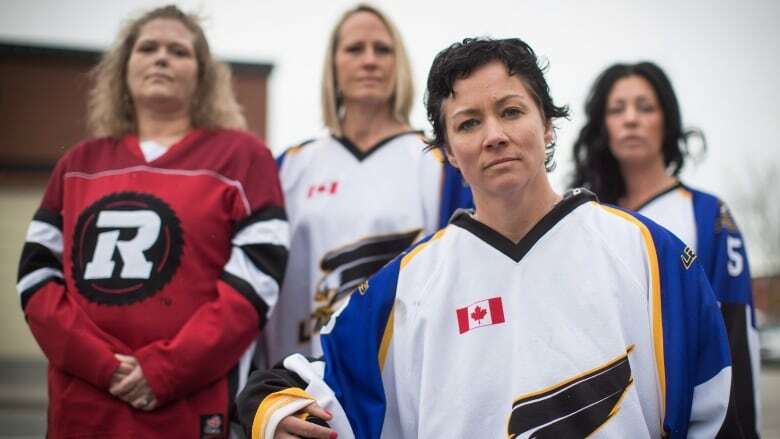 "I work in a retail environment and I've already decided if someone comes in wearing a jersey I'm going to start to cry," said Pinch from her home in Langley. 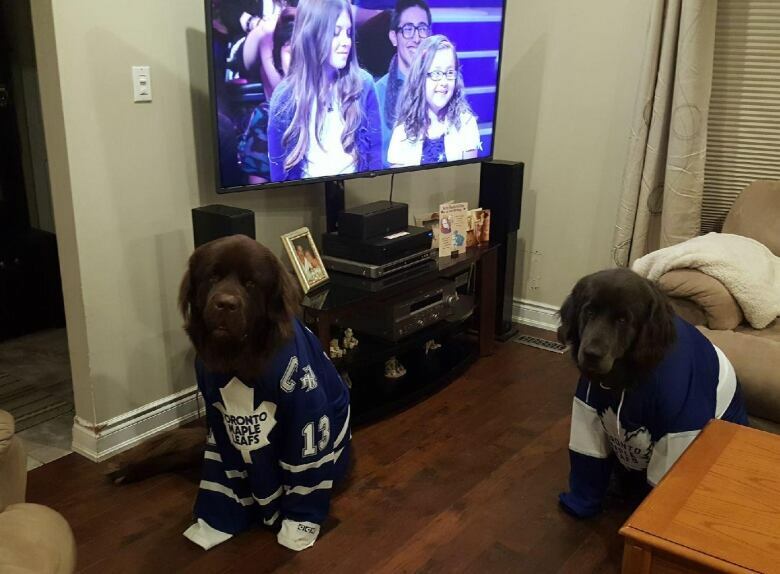 Toronto Mayor John Tory went as far as to declare Thursday as Jersey Day in his city. "We are all heartbroken by this tragedy. This is a small but important way for everyone, including city of Toronto staff, to demonstrate their support for all those who have been affected," Tory said in a statement. 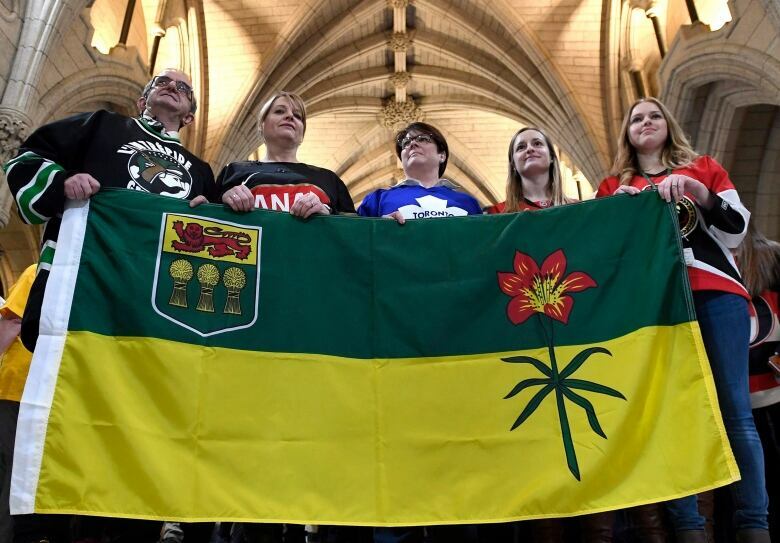 "It is so far geographically between Toronto and Humboldt, Saskatchewan, and yet we are part of the same country that celebrates hockey, that celebrates its young people, and that celebrates its small towns and big cities." In Alberta, U.S. Ambassador to Canada Kelly Craft donned a red Team Canada jersey to deliver a speech to the Calgary Chamber of Commerce extolling trade between Canada and the United States on Thursday morning. She said she and her husband, Joe, were "deeply saddened" by the tragedy. On Parliament Hill, a lone hockey stick leaned outside the Senate entrance to the Centre Block. 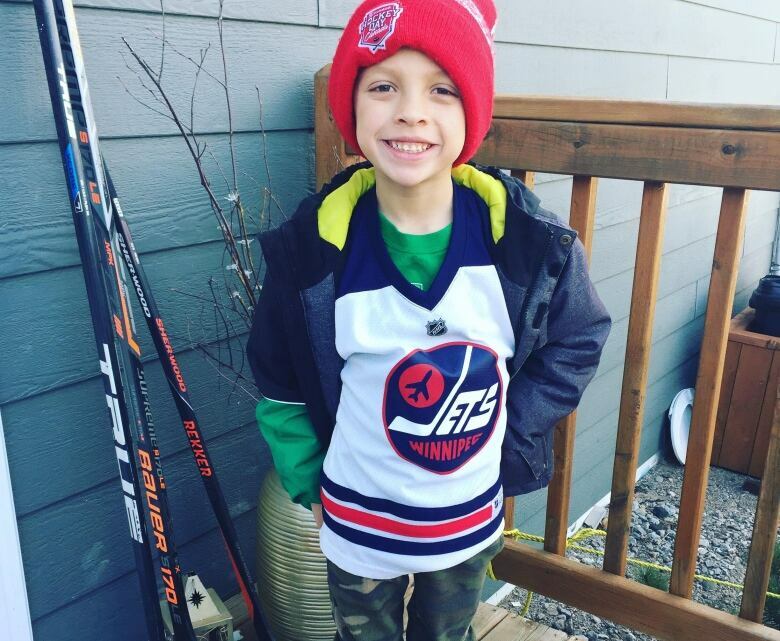 Hundreds of people sporting jerseys or green and gold apparel — the colours of the Humboldt Broncos — uploaded photos to social media using hashtags like #jerseysforhumboldt and #JerseyDay. The junior hockey team was on its way to a playoff game on April 6 when their bus collided with a transport truck. Sixteen people were killed, including players, the team's head coach and trainer, a stats keeper, a broadcaster and the bus driver. Thirteen others were injured. The horrific collision rocked a hockey-obsessed nation and drew condolences from around the world. Earlier this week, people across Canada left hockey sticks outside homes and businesses in another show of support for the victims, their families and the community of Humboldt. 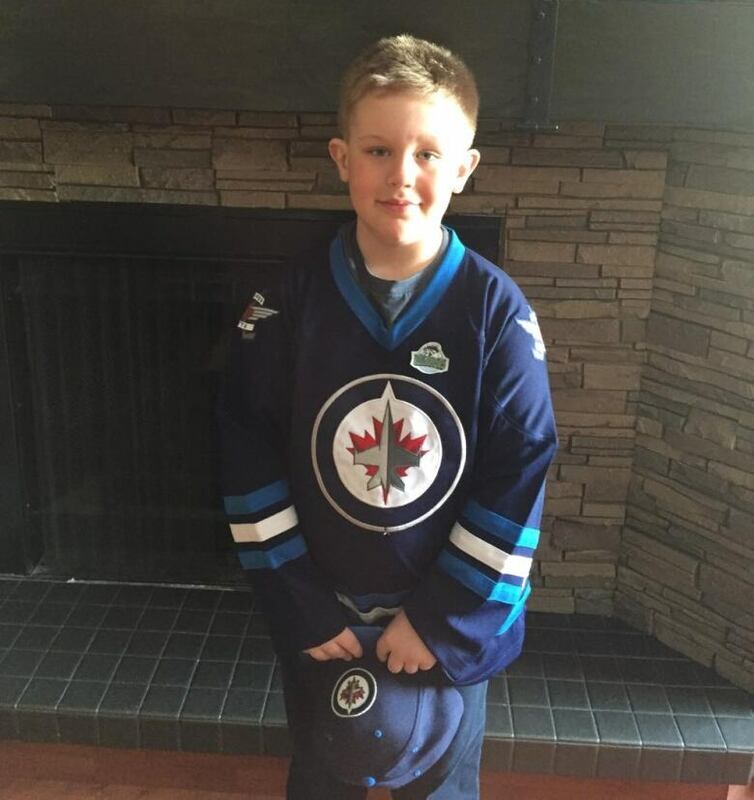 Jersey Day, however, has struck a deeply emotional chord for many. In a rural Newfoundland town with a close connection to one of the victims, a young hockey player who wore his school's hockey jersey to class said it's an example of how the sport can unite Canadians living thousands of kilometres from each other. "Over the years I've travelled a lot with my high school team," said Mason Oates, a Grade 12 student at Ascension Collegiate in Bay Roberts, N.L. "I can't imagine the pain that the families are going through. If I were to get on a bus, and to lose all your teammates and family like that, it would be tragic." Ed Tobin, the father of Humboldt Broncos victim Parker Tobin, played for the high school's hockey team in the late 1970s. The town of Bay Roberts plans to hold a vigil for Tobin on Thursday night. In Halifax, staff at Citadel High School were dressed in the school's oversized hockey jerseys as they greeted students arriving for morning classes. Ryan Connors, coach of the boys' Phoenix hockey team at Citadel, said he was devastated when news started coming in last Friday of a team bus crash in rural Saskatchewan. "It was surreal," he said, wearing one of the team's black and red jerseys. "I've taken a lot of players from this school on bus trips for the last 16 years and it was gut-wrenching just thinking it could have happened to anyone, any time." "Some of our kids are the same age as the players that would have passed in this tragedy and they've been on buses their whole lives right from novice on. That's a rite of passage — playing hockey is being on a bus." For his young players, Connors said Jersey Day was a "way for them to find some peace." Anthony Hall agreed. The 18-year-old forward wore his Phoenix jersey to send a message to anyone affected by the tragedy, which also left 13 injured. "We travel on buses all the time and these guys, they're some of your best friends, you know, you consider them your brothers — it's your family — and just imagining that happening to your group of guys, it's heartbreaking," he said. The Broncos responded to the national outpouring of support with a brief tweet. <a href="https://twitter.com/hashtag/JerseysForHumboldt?src=hash&amp;ref_src=twsrc%5Etfw">#JerseysForHumboldt</a><br><br>We see you. We hear you. We love you.<br><br>We are all <a href="https://twitter.com/hashtag/HumboldtStrong?src=hash&amp;ref_src=twsrc%5Etfw">#HumboldtStrong</a>. "We see you. We hear you. We love you," it read. An online fundraiser for the team surpassed $9.5 million on Thursday afternoon.